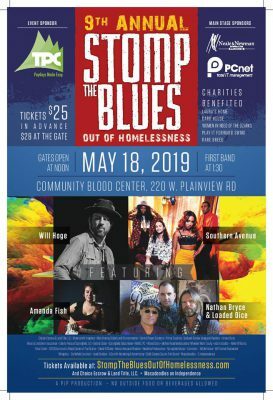 CBCO’s Thomson Donor Center in Springfield, Missouri, will be the location of the 9th annual Stomp The Blues Out of Homelessness Music Festival, scheduled for Saturday, May 18, 2019. Thanks, Lifesavers and music lovers! Gate admission is $25. Coupon may be used only when purchasing ticket at the gate on the day of the event. Tickets are not available for purchase at CBCO.